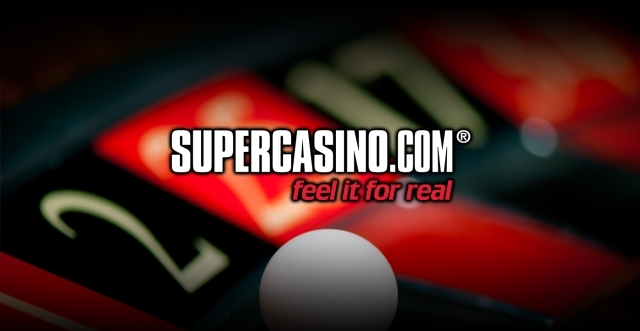 Super Casino is one of the oldest online casinos in Europe: It was founded in 2008. The website is run by the NetPlay TV. Its most distinctive feature is that it offers the chance to play games on smart TVs and live broadcasts. These broadcasts can be viewed on Channel 5 in the UK. The website operates under the Alderney Gambling Control Commission and the United Kingdom Gambling Commission licenses. It offers a very different experience to its visitors. Especially thanks to Supercasino bonus codes, new players can have many advantages. First Deposit Bonus: If you live in the UK and are depositing for the first time at the casino, you can use this promotion. The money you deposit will be matched 100%. For example, if you deposit 25 Sterling, you will get another 25 Sterling as a gift. The upper limit of this offer is 200 Sterling. In other words, we do not recommend depositing more than this amount in one time. Your gift money will be applied to your account right after you complete the deposit. Wild Draw: Anyone who has placed a minimum of £ 10 on the Heart of the Frontier, Ice Cave, and Roaring Wilds slots is eligible to participate in this draw. In this weekly draw, the first 7 players that earn the most for the week are rewarded. The biggest prize is 5,000 Sterling. The total award distributed under the campaign is 200,000 Sterling. The games included in the promotion change every week. Goodie Bag: Players who deposit a minimum of 20 Sterling and use the WEEKEND code while depositing the money will earn 20 free spins and a 5 Sterling bonus every Friday night. You can use the free spins in White King and The Eighth Wonder of the World slots. Unfortunately, in order to benefit from most of the campaigns, you have to live in the UK. Super Casino is mostly a website dedicated to UK players, so most of the gamblers in the rest of the world cannot take advantage of these offers. The website uses the Playtech collection. There are also some in-house games too. The games developed by the NetPlay TV can be played both on the website and on the TV. The casino has about 200 slot machines and offers 20 live casino games. The number of table and card games is approximately 75. It is possible to see lots of superhero-themed slot machines. We recommend you try Age of Gods, Robocop, Batman, and Gladiator Jackpot slots.